Public Transport System in Ethiopia has improved in recent years and now you can smoothly travell by road in many regions of the country. Ethiopia's road network has improved substantially in the past decade, Almost every major road is tar sealed. Though Some Off roading routes, such as driving to remote hiking or rock climbing starting points, remain largely unsealed. The development and improvement of the Ethiopia road network also lead to the development of intercity public transport network. Public buses, painted yellow and red, are basic and cheap, though they can be crowded. 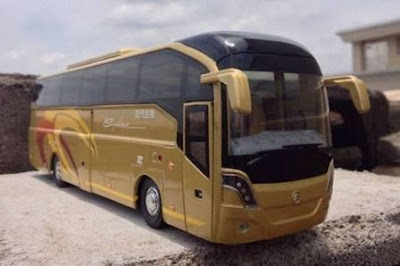 In Ethiopia now you can have more comfortable bus option to choose from one of the many privately run coach services which operate between major destinations. Be mindful that the coach journey can be long. For instance, a coach service from Addis Ababa to Gondar will take 13 hours. 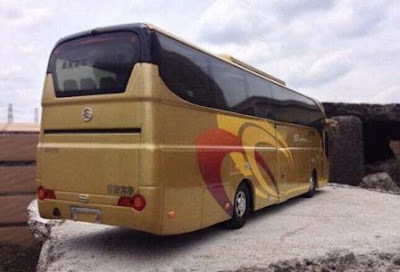 All Luxury bus goes with timetable and most of them depart from their starting point between 0500 and 0700 Eastern Africa Time and the ticketing and boarding processes can be difficult, particularly if you don't read or speak Amharic. Anyone assisting you with your luggage, including the person passing it up to the conductor's assistant on the roof, will expect a small tip. In Ethiopia buses are not allowed to travel after dark, some long distance journeys took up to two days with an overnight rest stop. You may not be allowed to remove your baggage from the roof of the bus during this overnight stop and so should pack essentials in a day bag to carry onboard. On other routes, there are government buses and private buses. Where there is a choice, private buses are preferable for short runs (say up to 150km) and government buses are better for long runs. The reasoning behind this is that government buses are faster and better maintained, which is an advantage over a long distance, but private buses get going more quickly. In some cases when you arrive at the bus station there will only be one bus heading in your direction, so any thoughts about it being private or government become irrelevant. If you haven't booked in advance through one of the new private companies, your choices will be limited to whichever bus is leaving next. Costs of the buses are very cheap in Ethiopia. Both government run and private buses work out at around US$1.50 to US$1.75 per 100km. You will pay double or triple this for one of the newer private companies, but travellers think it's always worth it. Some places have a lack of reliable transport services and Some foreigners used to travel around remote regions in the back of goods trucks. The Lower Omo Valley was a popular place to do this. It’s now illegal and, contrary to travellers’ rumours that it’s in order to make tourists pay for organized tours, it’s actually for safety reasons, And This Rule only seems to be enforced on foreigners! There is also a Minibuses which are commonly used between towns connected by sealed roads or to cover short distances. Legally they are not allowed to operate over a distance greater than 150km but many drivers flout this rule. Some of these travel at night to reduce the chances of a brush with the police or during daylight hours, the driver merely swaps his papers halfway through the journey so as to confuse the police. Minibuses cost slightly more than buses, but they leave more often and cover the distances more quickly. 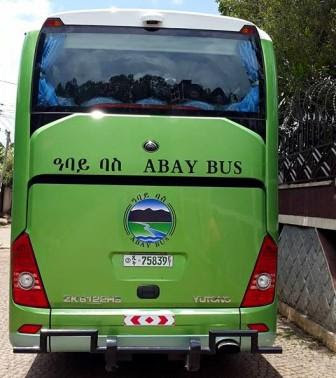 Abay Bus transport Plc is an Intercity bus services which foundd and operate in Ethiopia as well as neighbouring countries. Abay Bus is operated by highly qualified professionals in various disciplines and many years of experience in the transport sector. Abay Bus is all about making long distance journey safe, dependable, comfortable and fitting with a very hospitable service for a reasonable price. Abay Bus operate their company and services by integrity, honesty and reliability. With these moral in mind, They are set to serve their passengers with adoring spirit. Abay Bus uses modern chinise Yutong bus and other model to deliver it's services to their customers. 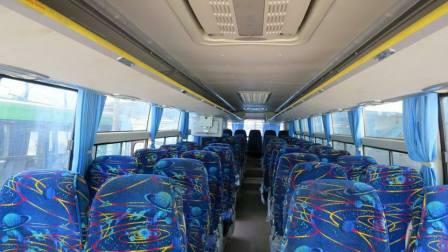 All of their buses are fitted with Air Conditioner as well as they have enough legroom for your comfort. While you travel with Abay Bus, They will care for you by srving you with On board entertainment like Television services, Music system soft drinks and snacks. 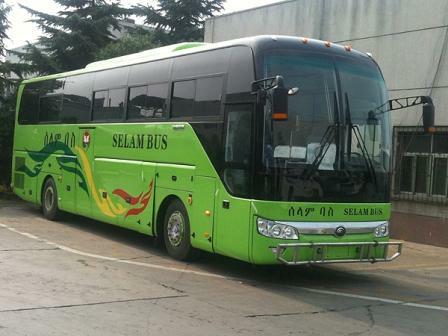 Golden Buus is one of the best long distance bus companies in Ethiopia. Golden Bus operating between major cities as well towns in Ethiopia. They have Luxury, unique and comfort Buses for your Travell. Golden Bus has luxury buses where travel needs meets luxury, comfort, and convenience. Their buses are fitted with on board entertainment with well trained customer services personnel. Golden Bus in Ethiopia is one among the top competitor in the Passenger Transport Industry. They have unique ways of treating their customers for best traveler satisfactions. Golden bus ticket office is located in Stadium, Addis Ababa, Ethiopia. 13min drive from Bole international airport, Addis Ababa. Provide transport services. Sky Bus transport system is a share company founded in March 15, 2008. Sky Bus is directed by a Board of Directors and managed and operated by highly qualified professionals in various disciplines and many years of experience in the transport sector. Sky Bus is all about making long distance journey safe, dependable, comfortable and fitting with a very hospitable service for a reasonable price. Sky Bus’s chief operating values are integrity, honesty and reliability. With these moral in mind, They are set to serve their passengers with adoring spirit. Sky buses are driven and operated by a group of qualified and hospitable staff who are always a step ahead and eager to make sure that our passengers are having smooth, pleasurable and secure journey. 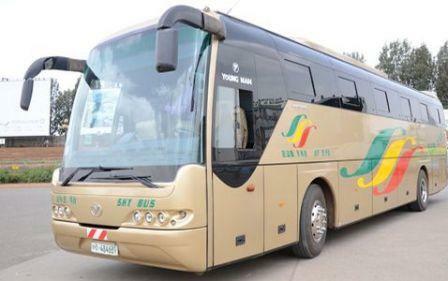 The bodies of the buses are manufactured by Jinhun Youngman, automobile manufacturing company of China, in joint venture with Neoplan of Germany. 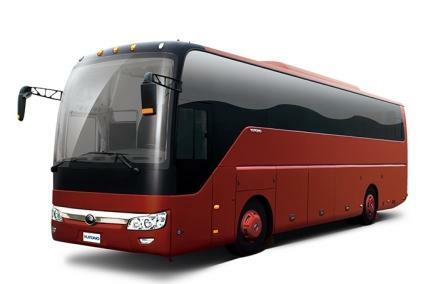 The buses are luxury coaches powered by world-class MAN 310 horsepower engines. Instead of the traditional 62 sets, SkyBus have 47 sets leaving more space for our pasengers’ comfort with safety belt all round and individually controlled air conditioning system. To keep our passengers happy and comfortable, SkyBus have versatile audiovisual entertainment system. In addition, SkyBus have tea making machines and refrigerators, enabling to serve you with hot and cold drinks. Restrooms are also available..
Selam Bus Line Share Company (Selam Bus Line S.C.) is one of the largest long distance bus companies in Ethiopia and was established in 1996 by Tigray Development Association (TDA) to address the nation-wide need for public transportation. 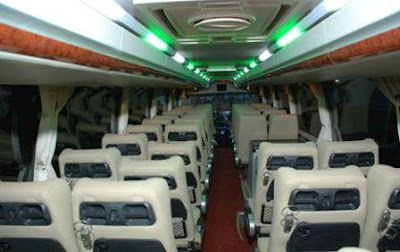 Selam buses are luxurious tourist buses with a capacity of 51 seats which are equipped with Air conditioner, fridge, monitor, & safety belt so that passengers are entertained by DVD/VCD music/film, Cake & soft drink or plastic packed water/Juice while traveling. The head quarters, bus terminal and garage of Selam Bus has been established in Addis Ababa with branch offices in all regional capitals. Buses departing from Addis Ababa to all the regional capitals providing all necessary information and entertainment services to the satisfaction of the passengers are expected to serve as the ambassadors of the region. Selam Bus has received Century International Quality ERA Award on March 7, 2011 in Geneva, Switzerland. This prestigious award has been achieved by integrating all quality-related functions and processes throughout the company by focusing at the overall quality measures used including managing quality service and development, quality control and maintenance, quality improvement, and quality assurance. 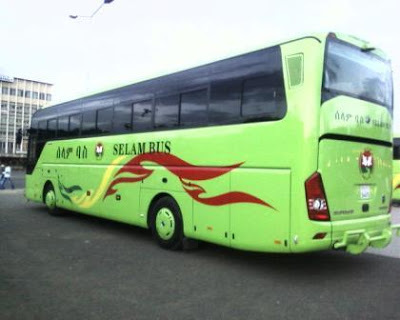 Selam Bus has luxury buses where travel needs meets luxury, comfort, and convenience. For the first time in Ethiopia, we are bringing you aircraft like luxury on wheels. Anybody who opts to travel by Selam Bus, be sure to view Selam Bus as a more preferable option due to the many enticing features incorporated in the bus. All the services mentioned above are available in our 51 Seater. Ethio Buus is one of the largest long distance bus companies in Ethiopia. 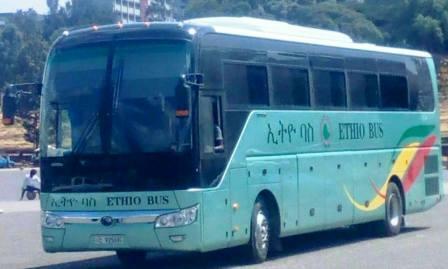 Ethio Bus operating between major cities as well as small towns in Ethiopia. 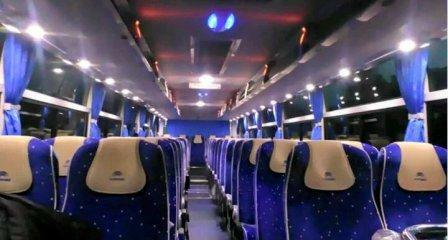 They have Luxury and confort Buses for your Travell. The luxury tourist routes run between Addis Ababa and the Ethiopian cities of Mek’ele, Bahir Dar, Gondar, Dire Dawa, Harar, Dessie, Semera, Arbaminch, Shire, Woldia, Bale, Jimma, and Awasa. They also have buses to Khartoum. Ethio Bus has luxury buses where travel needs meets luxury, comfort, and convenience. For the first time in Ethiopia, Ethio Bus bringing you aircraft like luxury on wheels. 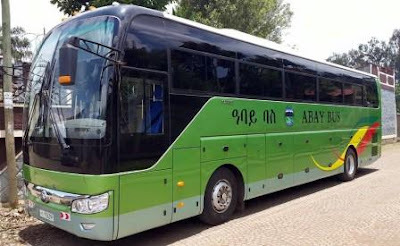 Anybody who opts to travel by Ethio Bus, be sure to view Selam Bus as a more preferable option due to the many enticing features incorporated in the bus.